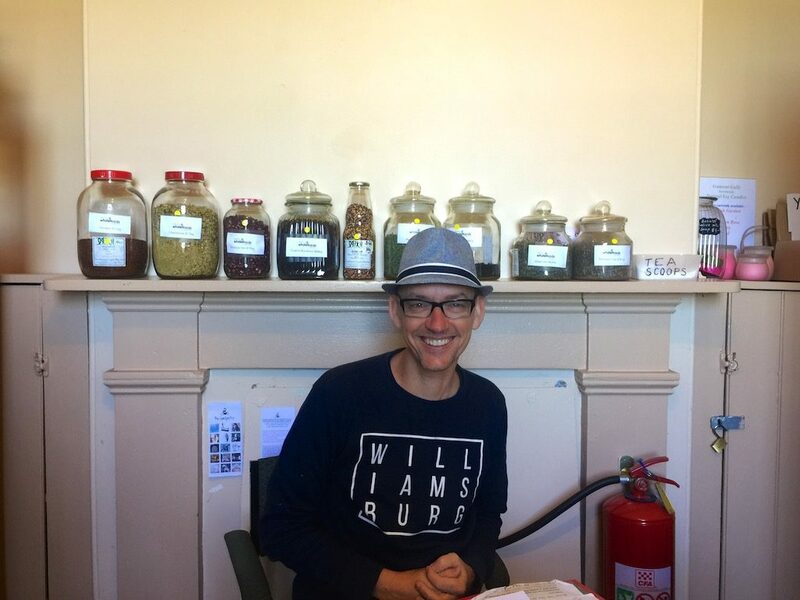 Starting a community food co-op or collective can begin with something as simple as a shared cup of tea, and a question. How can we access great quality, dry bulk food together? 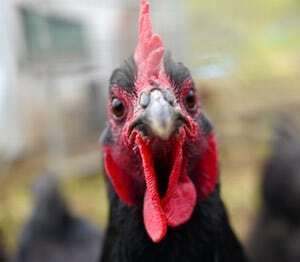 And local fresh veg also? With the power of co-operation, that’s how. 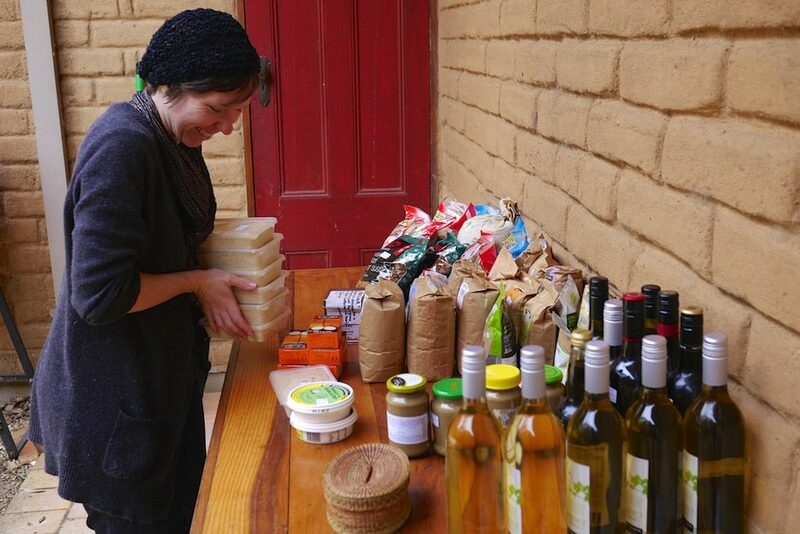 Many a food co-op, collective or food share has begun with a few families getting together to order bulk beans and pasta, or potatoes, or whatever, from a great quality source that doesn’t deal with small orders. 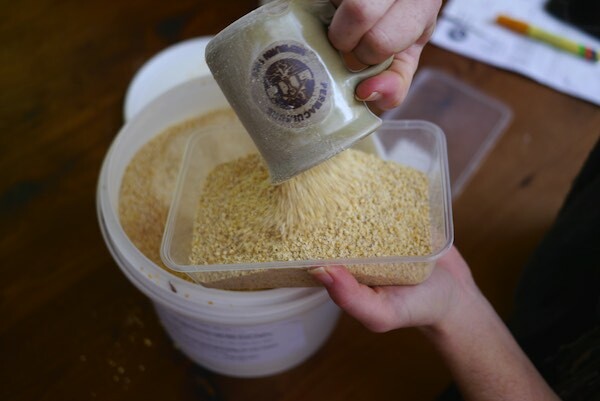 It’s cheaper, the producer benefits, and there’s far less packaging and food miles. 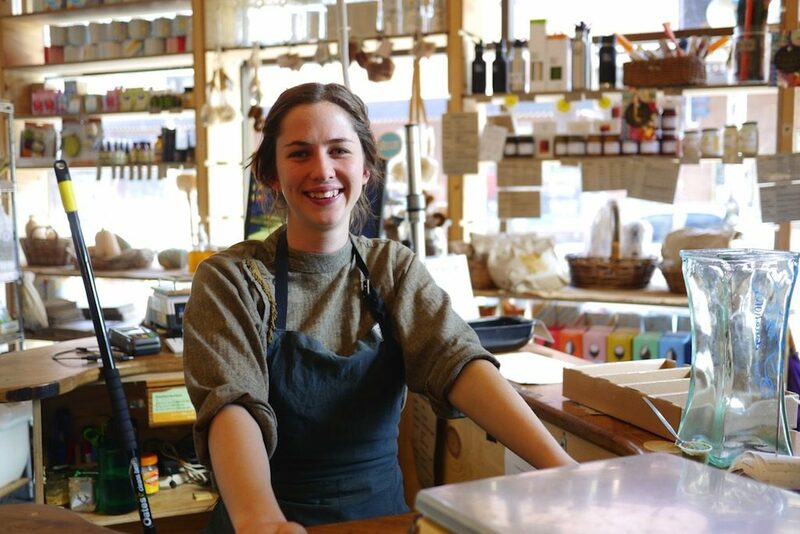 And once you figure out a simple system of sourcing, distribution and payment, there’s no stopping where this co-operative approach to food sourcing can lead you. When we source our food directly from farmers and growers, we create an alternative economy that sits outside the mainstream food system. Sourcing food is no longer ingrained with the experience of walking past isles of processed, brightly coloured packets – big on marketing spin and small on nutrients. 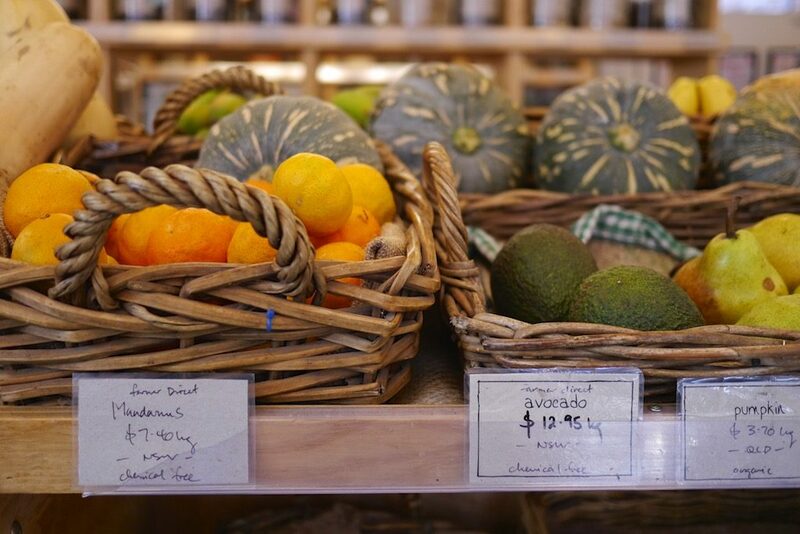 Our money benefits local farmers, not giant corporations with questionable ethics, and it stays local. With these sort of food access structures, we get to spend our money on what we actually need, and give it to people who are directly stewarding our landscapes and benefiting our watersheds and catchments. 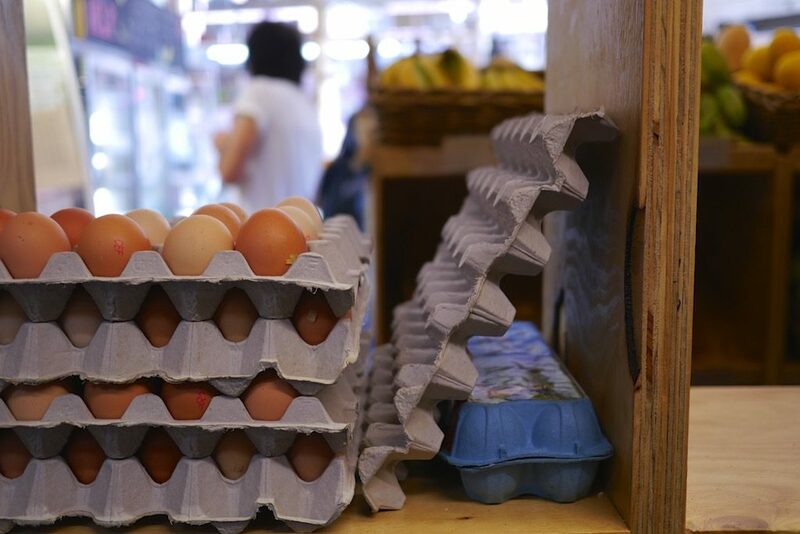 Our weekly grocery spend becomes a tool for increasing local resilience on every level possible, and we save money, too. All together, that’s pretty cool. And then there’s the community aspect – belonging, helping, packing, learning. People swap recipes, and spare bags and buckets to hold beans and noodles and broccoli. Stories get told, kids get to be in the thick of a packaging-free food system full of new shapes and smells and spare strawberries. Community gets cultivated. It’s the world we all want to live in, really – one of community connections, transparency, and good food everywhere we look. And as you can see from the examples below, it’s not rocket science, either. 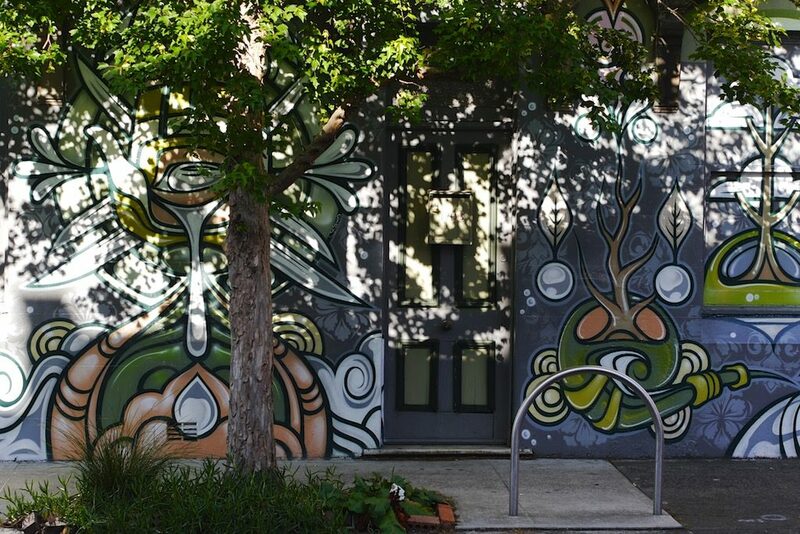 Food distribution systems operate from domestic garages + front rooms as well as shopfronts – community takes many forms. All you need is a desire for a better food system, a pot of tea and a few friends – and you can get started. 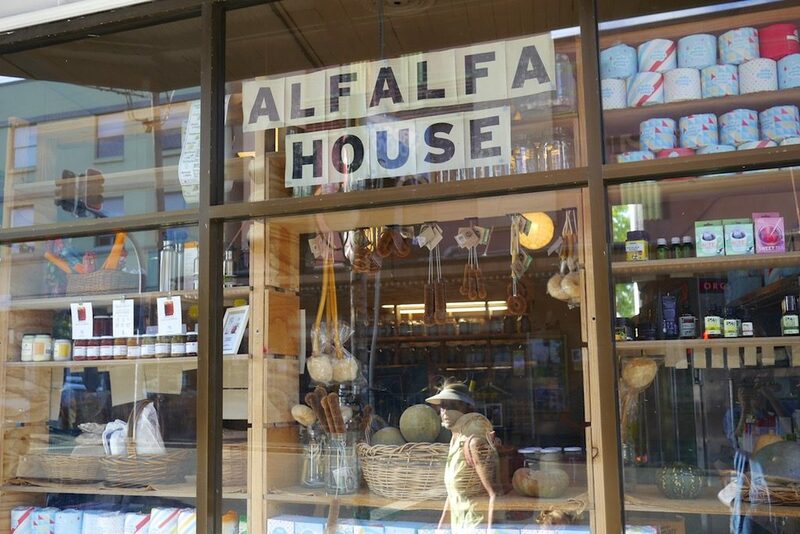 Alfalfa House is one of Sydney’s oldest food co-operatives, nestled in the heart of inner city Enmore. 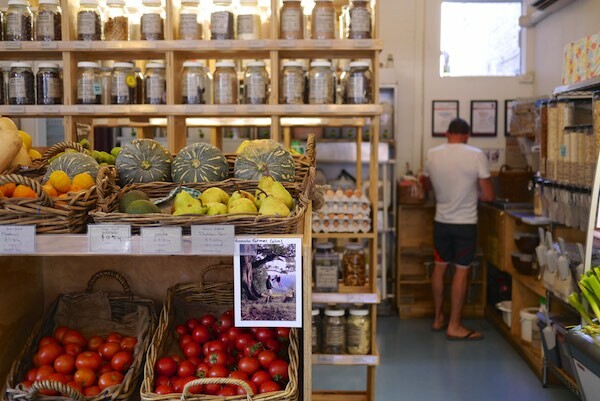 From humble beginnings in the front room of a local house, to a squat on King street, and then to it’s current premises in Enmore, you can read the history of this co-operative here. 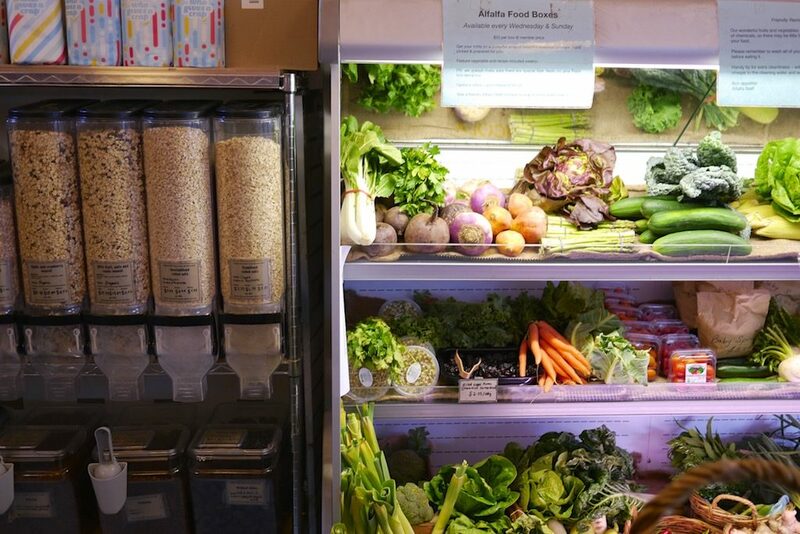 A non profit co-operative, Alfalfa House is dedicated to supplying waste-free, organic wholefood to it’s community, with a focus on retail quantities – which makes sense for inner-city folk with limited storage space. 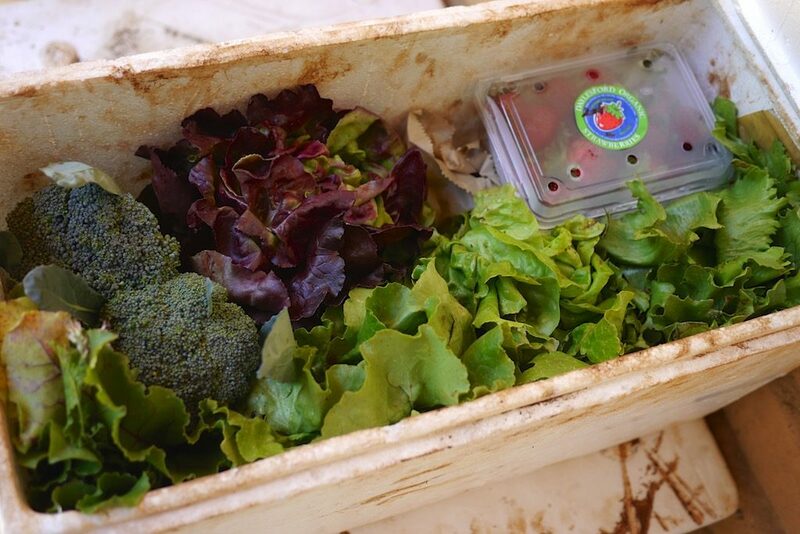 Alfalfa house also do weekly veggie boxes sourced from local growers, and offer the option to order dry goods in bulk for an additional discount. Membership is paid yearly and attracts a 10% discount when shopping, but thanks to the accessible shopfront, passers by can shop there too. Members that also volunteer in the store regularly get a larger discount on purchases. The shopfront is mostly volunteer run. Shoppers are encouraged to bring their own bags and jars for filling up, though some paper bags are available. There’s scoops and scales at every turn, as well as marker pens to write the ‘tare’ weight on your empty jar before you fill it up, so you’re not paying more than you should. 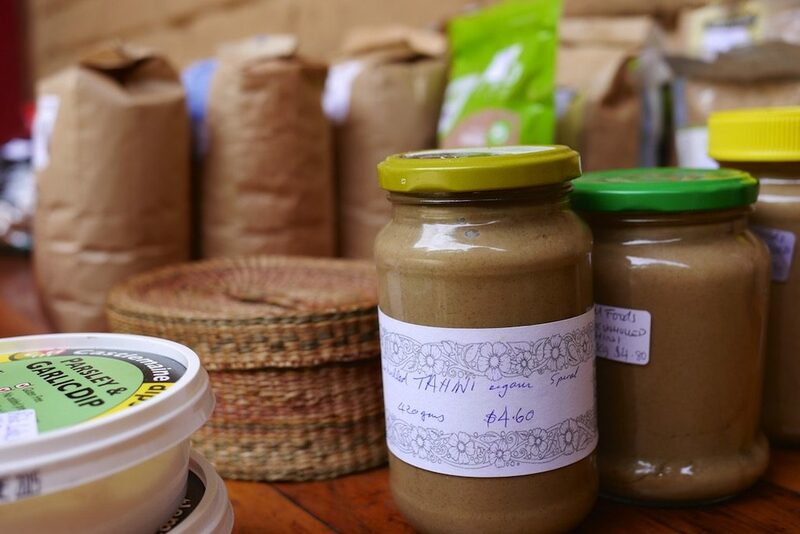 Being a member-run organisation, Aflalfa House also put a LOT of thought into the products they choose to stock – if there’s concerns in the scientific community over a certain ingredient (sodium laurel sulfate) , or questionable labour practices (until recently, cashew nut processing)… Alfalfa House won’t stock the product. This research provides a great buffer for shoppers and a great example of making sure money and ethics are aligned, on every level of food supply. Since the rise of so many similarly styled shops + vegetable box schemes in inner western Sydney though (which feel similar to the consumer, but which aren’t non-profit co-operatives sourcing from stringently ethical, local sources) Alfalfa House has been doing it tough. When I spoke to staff there, they mentioned that making the shop’s rent in inner city Sydney, as well as maintaining a steady customer base in the face of so many alternative stores that look similar from the outside, was hard going. 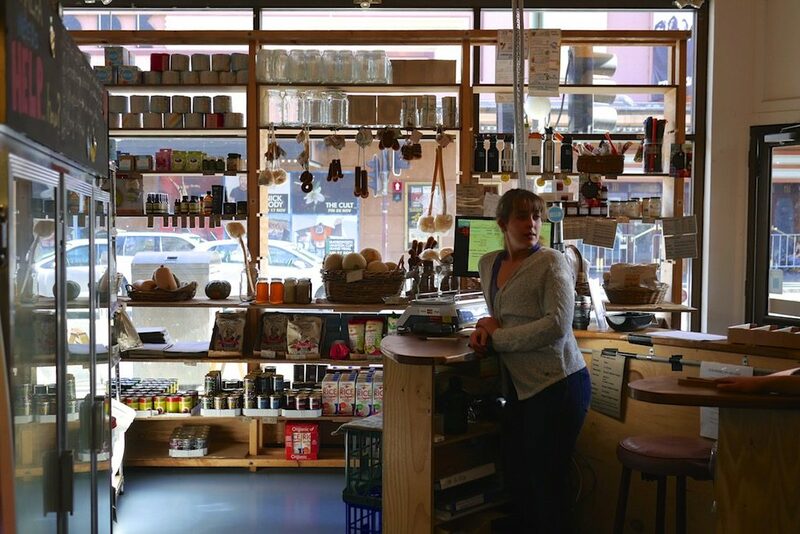 They were doing their best to negate the difficulty by maintaining great shop hours, introducing new products, and educating their community as to why co-operatives like Alfalfa House are such important resources to have nearby. 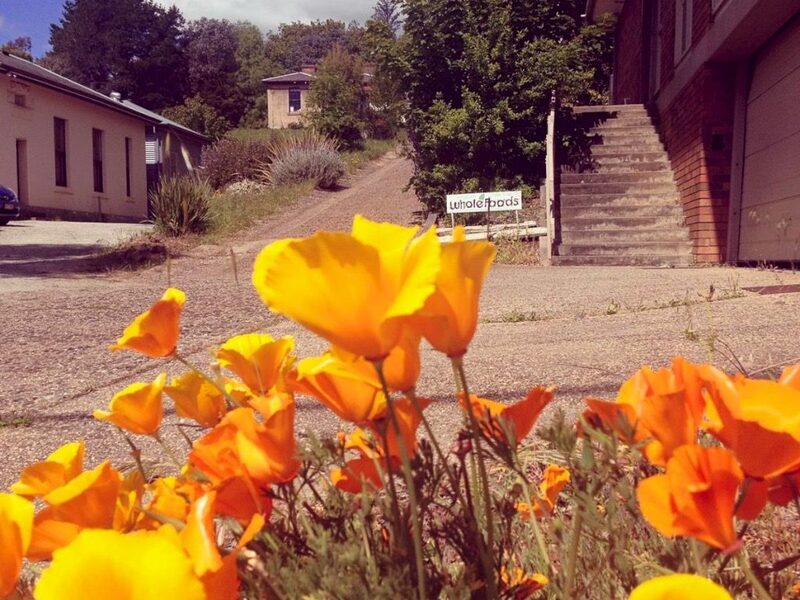 Hopefully this amazing local resource will be valued and used by residents for many more decades to come… if you live nearby, head to www.AlfalfaHouse.org for the full deal, and lots of resources besides. 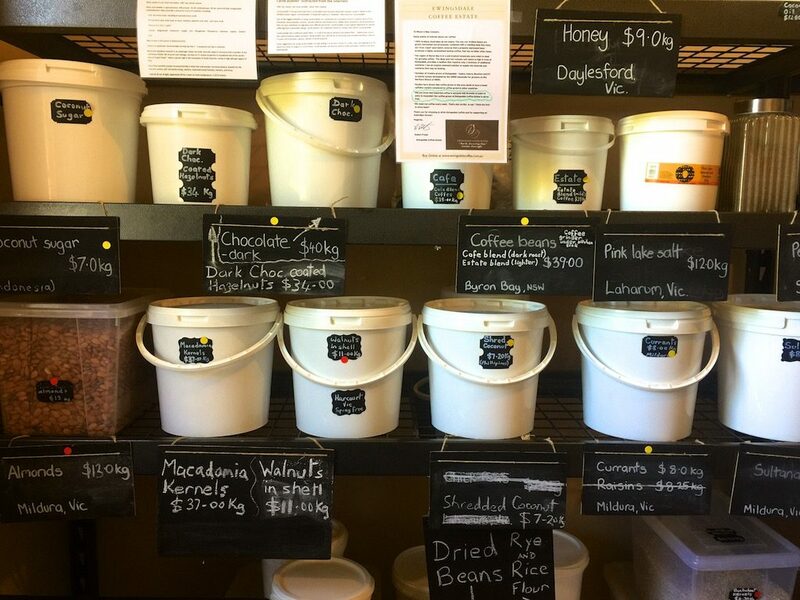 Hepburn Wholefoods Collective grew out of a discussion between a few friends living in Daylesford, in central Victoria – they wanted access to affordable dry goods without any packaging, and to local fresh food without having to go through the city markets – and so went to speak to the local community centre about it. 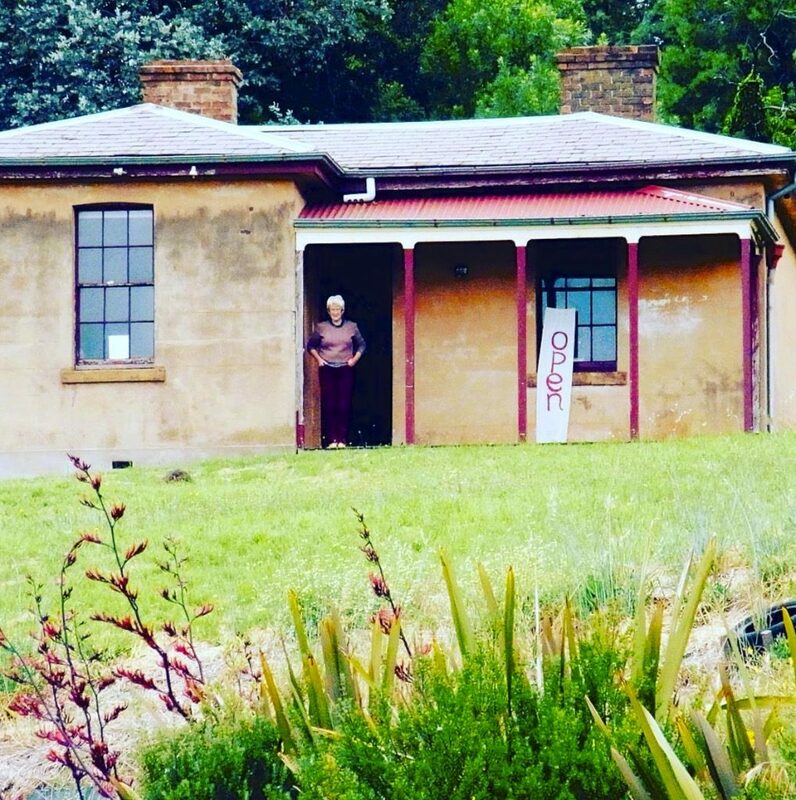 With help and auspicing from the local community centre, Hepburn Wholefood Collective was established and opened in a small historic house on the hill above the community centre, in the former police station. The local radio station is housed in the building too. The collective is membership based, and you need to be a paying member ($30/15 per year) to shop there after your first time. The collective is entirely volunteer run and is open for a few hours on a few days each week, at different times each day so that hopefully everyone can get there regularly. Because of the low costs and overheads (thanks to the local community centre) the markup on products at this collective are minimal. Fresh produce is sourced from local growers on a seasonal basis, with a focus on storage crops which don’t perish quickly (beetroot, potatoes, carrots etc). A fridge in the second room holds treats like frozen local organic blueberries, and locally grown shiitake mushrooms when they’re available. 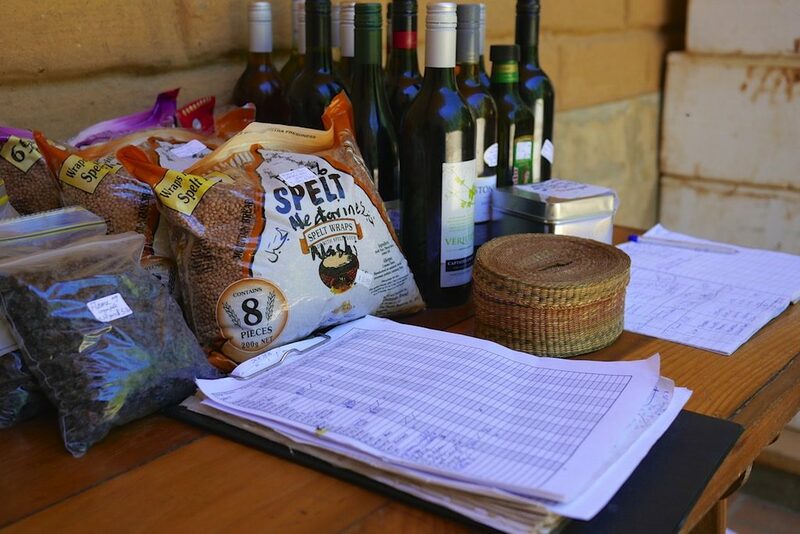 With an ethos of BYO bags and jars, Hepburn Wholefoods still supplies paper bags if needed, though for things like olive oil and honey you need to bring your own container. There’s lots of pens and scales to help keep track of what you’ve bought so far. The Melliodora food share is run out of the property where we live, so we know it pretty well. 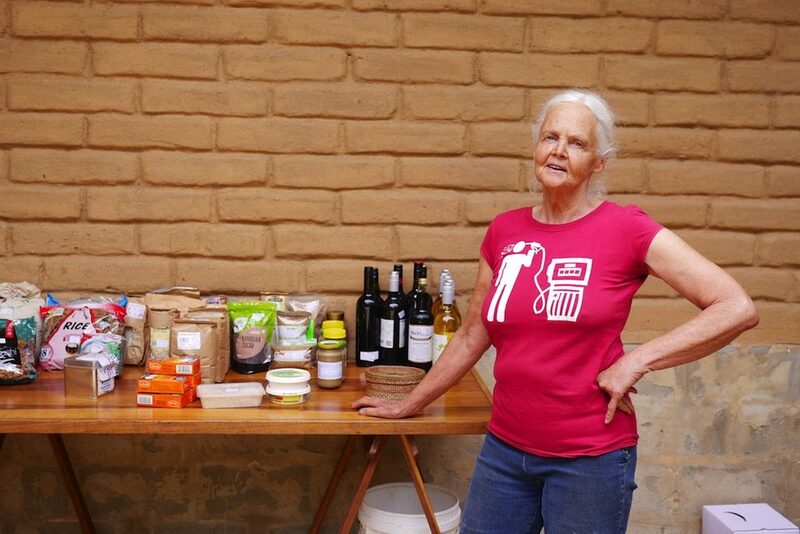 Su Dennett, co-founder of this property along with David Holmgren, runs this food share every Wednesday from her garage, and has done so for over 20 years. The food share has two aspects – dry goods, and a veggie box pickup that’s part of a local Community Supported Agriculture. 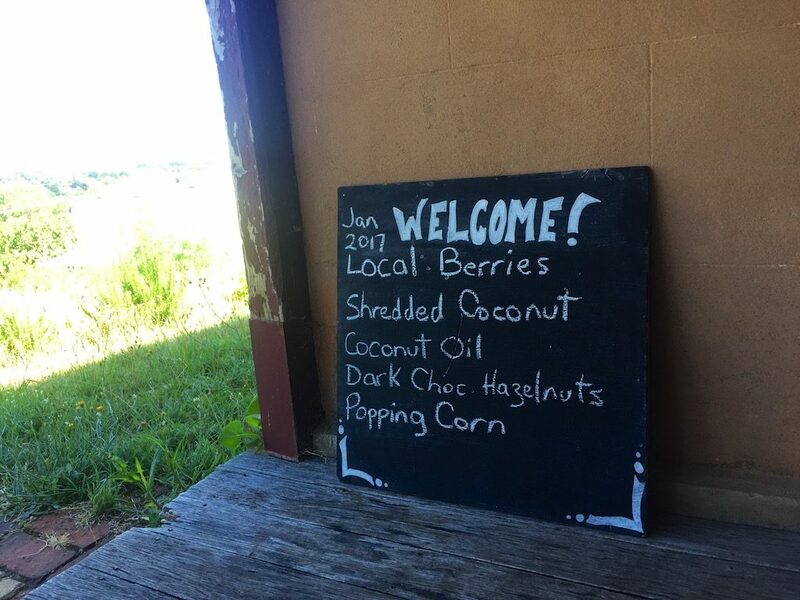 Folks wanting veggie boxes sign up at the start of the season in December, and get weekly boxes of veg from Captains Creek Organics, grown 10 minutes up the road, until June. 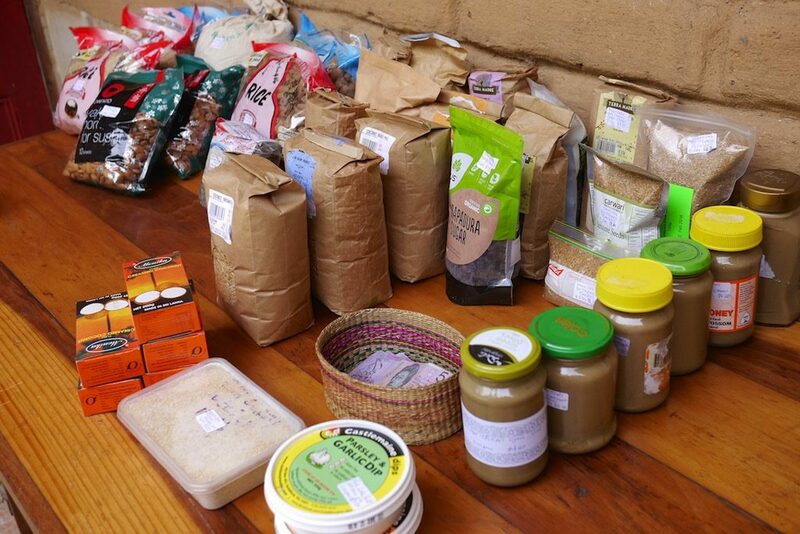 The food share also distributes bulk dry foods like soba noodles, seaweed, lentils, apple cider vinegar, tahini, falafel mix, spelt pasta, rice, locally made tempeh and whatever else is available. 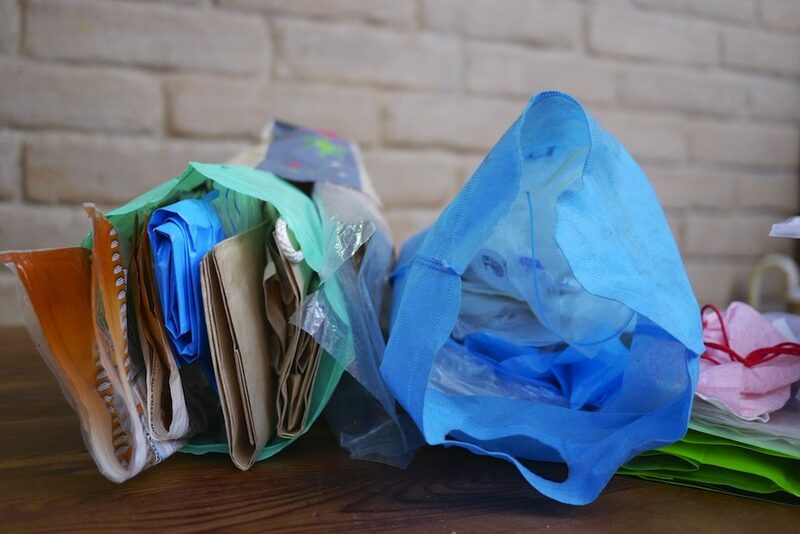 Using recycled bags that various friends and users bring in bulk, Su and helpers package up large and small volumes of the dry goods each week, weigh and price them, and have them ready on a table when people come to get their veggie boxes. 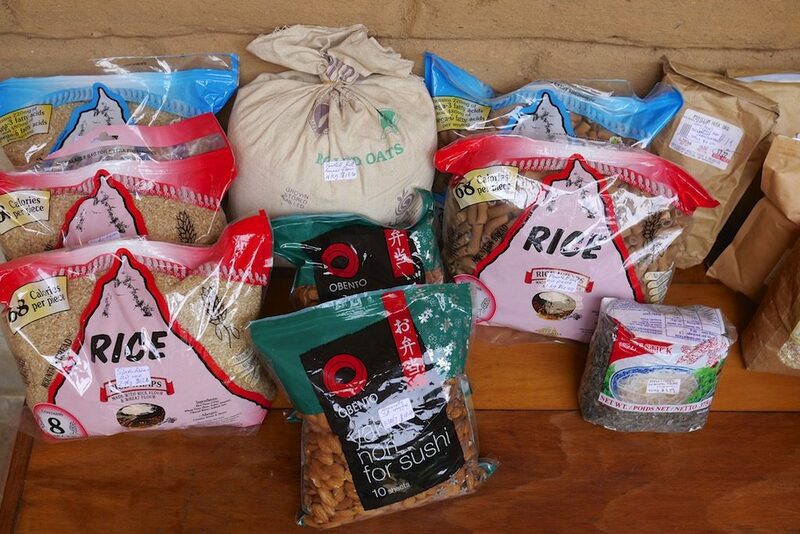 Food can also be ordered in bulk if needed. 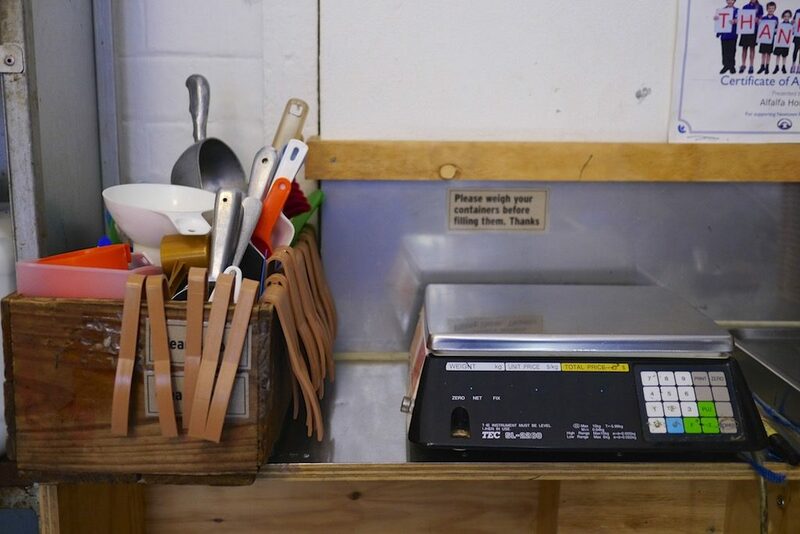 This little foodshare functions as a community meeting point as well as a great way for families to access low-cost dry goods and fresh veg of high quality – and any boxes left over are quickly distributed amongst whoever needs them. And that’s just three examples. There’s also home-based with online ordering models like Westies Dry Goods Buying Group, and a gazillion other co-ops, both formal and informal. Is there one near you? And if not… how about it? 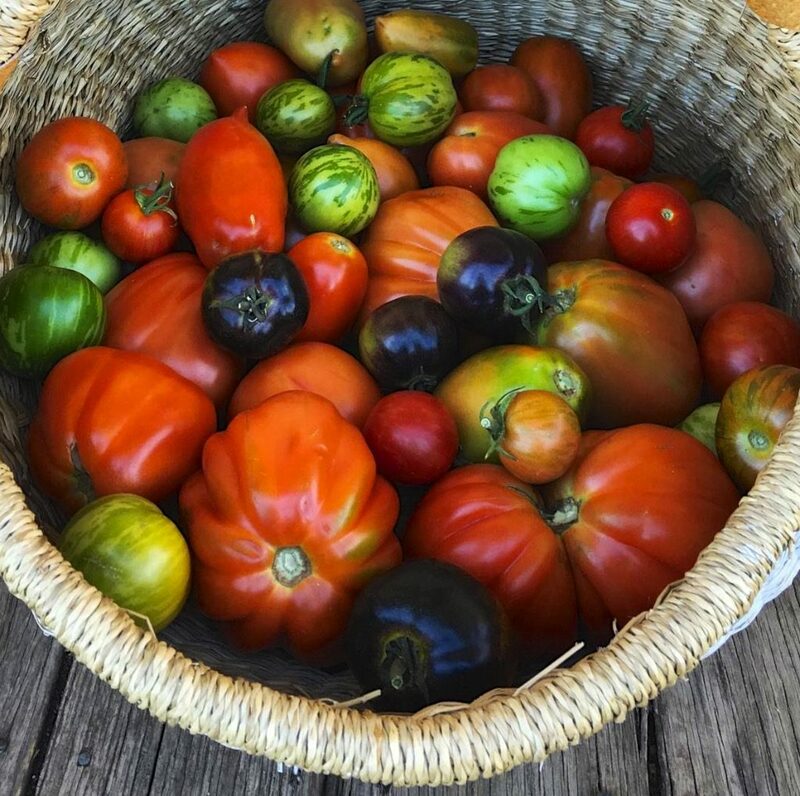 For anyone wanting to engage more in their food system, and step outside of destructive economies and into regenerative ones that we make ourselves… a simple garage-based food co-op is a great way to begin. 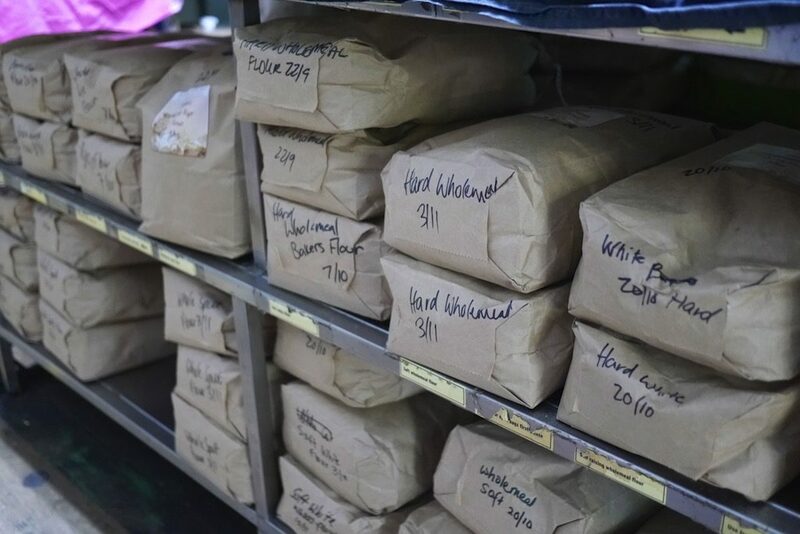 Even if it stays at the scale of four families buying local pasta, flour and potatoes together every three months – just to save on costs and ensure provenance – what’s wrong with that? That’s resilience. And community. And good food, well grown and well enjoyed. 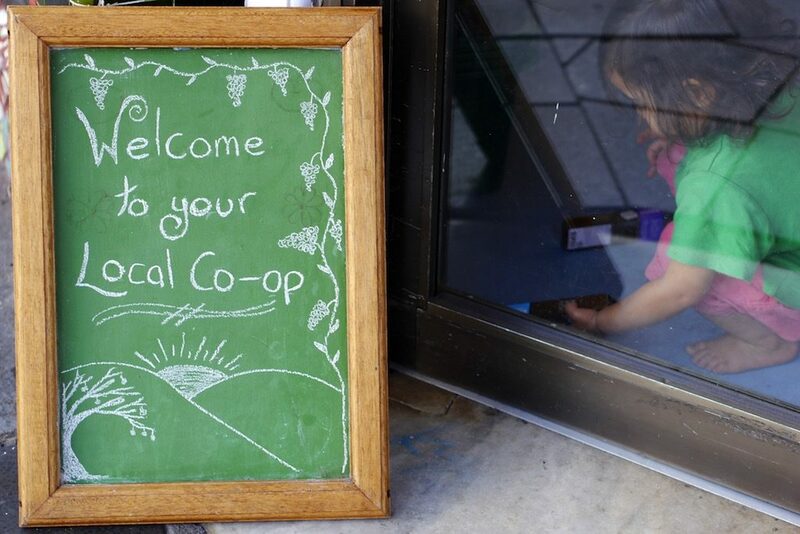 Do you belong to or run a community food co-op, food swap or collective? Please feel free to comment below and tell us all where you are and how it’s going! 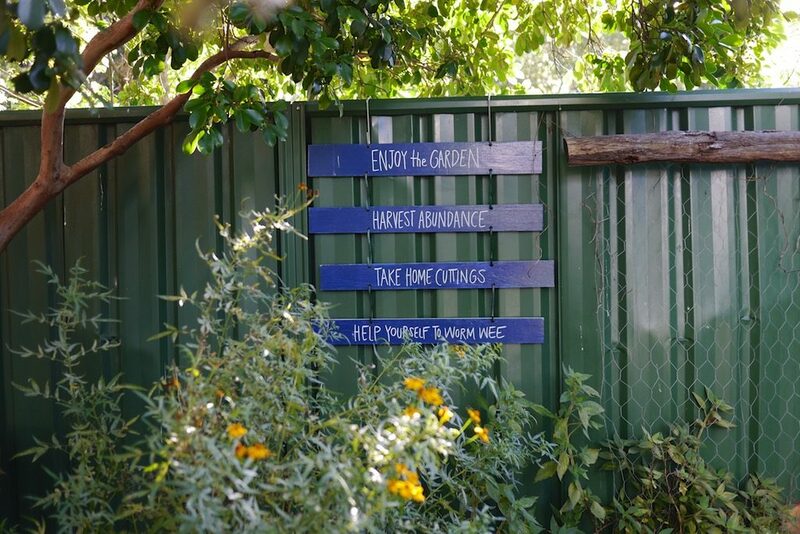 Alternative economies and how to build them is one of the many topics we cover in our bi-annual Permaculture Design Certificate – a two week intensive where you’ll learn design skills for creating the futures our communities need. We’d love to see you there! 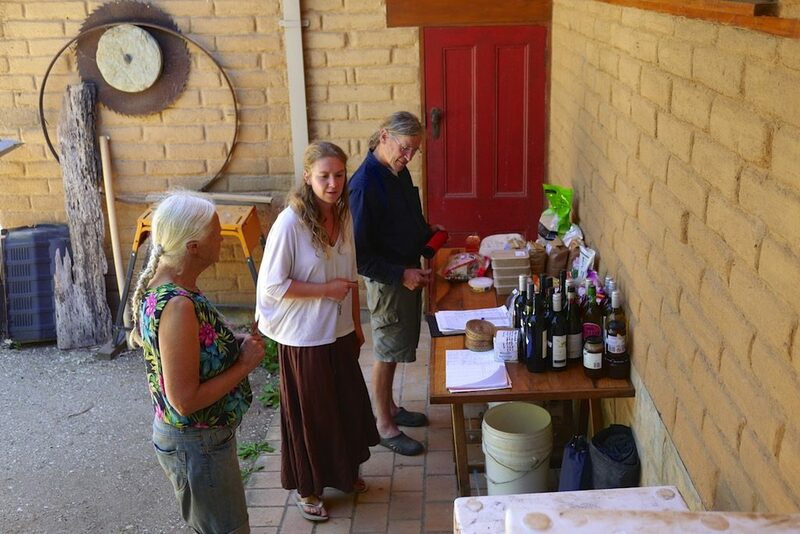 In the meantime, all our posts about permaculture design are here. This year we finally got a chance to try out a three sisters gard . .